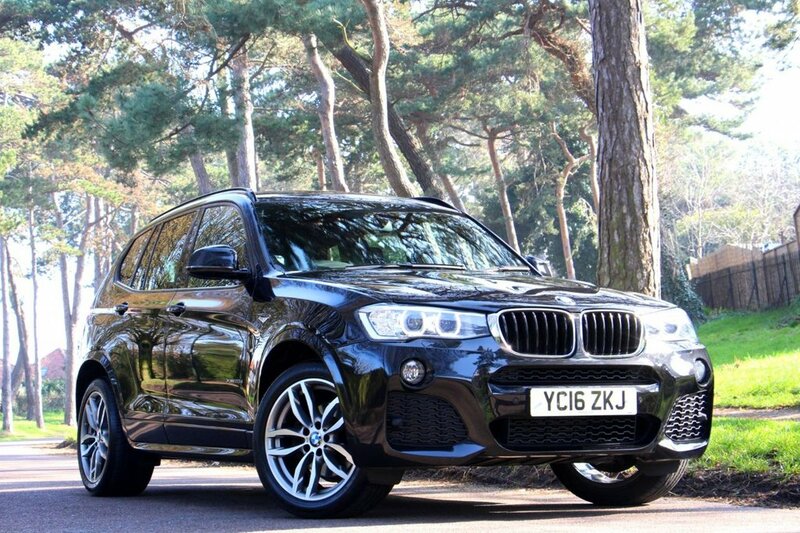 Lovely one private owner example with £5,615 in factory options, BMW service history and service package. The car features Professional Plus Media Package with widescreen sat nav, head up display, full black panel display, real time traffic information, DAB radio, Bi-Xenon lights, LED daytime running lamps, reverse assist camera, privacy glass, online services, bluetooth phone and audio interface with voice control, auto dimming power folding mirrors, heated seats, full black leather, power tailgate, USB audio interface, 8 speed automatic with paddle shift, black roof rails, LED rear lamps, dual zone climate control and more. All keys and bookpack present. In Sapphire Black Metallic. Just had brake fluid change and health check by Bournemouth BMW. READY TO DRIVE AWAY TODAY.